A Canadian eTA or Electronic Travel Authorization is a digital document that allows you to travel through Canadian airports. If you are a permanent resident of the United States or a visa-exempt foreign national, you will need an eTA visa before you travel by flight to Canada. An electronic visa eTA is electronically linked to your passport and is valid for up to 6 years or until your passport expires, whichever that comes first. Today, it is a requirement for all visa exempt citizens to apply for the new eTA if they want to travel to Canada. It is a simple and straightforward process to apply for eTA Visa through online platforms like etacanadaonline.com. If you are applying online for an Electronic Travel Authorization visa, you will need your passport, email address, credit card and access to the internet. You can complete this process from the comfort of your couch. How much time is needed to apply for a Canadian visa ETA? So, how long does it take to get a Canadian Visa? 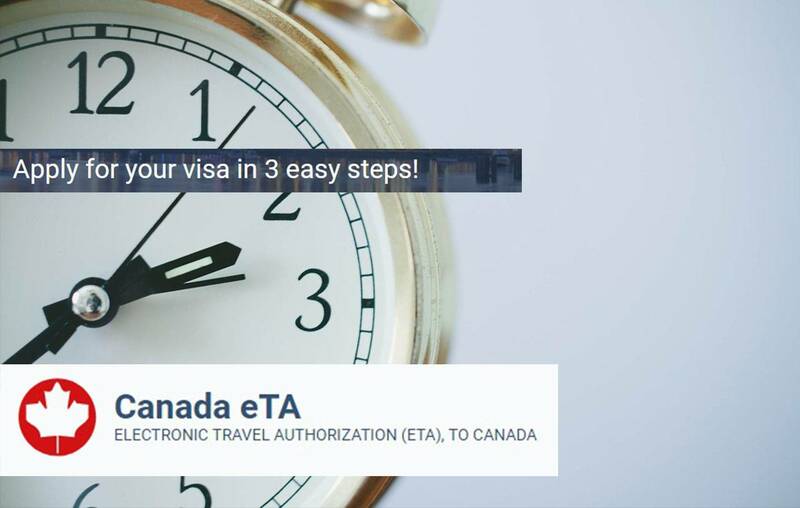 When you apply through etacanadaonline.com, it will take you a few hours before you get an electronic visa eTA. However, the application process takes about 15 minutes if you have all the required documents. Apply Online for an eTA CanadaBasically, you need your travel itinerary and a passport to apply for your ETA if you have already bought airline tickets. In this case, you will receive the results of your Canadian Visa application via email within a few minutes. In some cases, you may need to send additional documents which may add a few more days to the application process. Once you have a valid electronic visa ETA, you can frequently travel by flight to Canada for short stays of six months. You must produce other travel documents at the border and convince the officials you are eligible to enter the country. Who needs an Electronic Visa? Nationals from visa exempt countries need an electronic visa to fly to Canada. However, these foreign nationals do not need an ETA if they are traveling to Canada by ship, car, train, or bus. Legal permanent residents of the United States also need an electronic visa to travel by flight to Canada. US legal residents are required to produce a valid Green Card as well as a passport at the check-in. Citizens from a majority of European countries such as UK, France, Germany, Italy, Poland, and other Scandinavian countries are entitled to get an electronic visa in three simple steps. If you are a citizen of Bulgaria or Romania, you may need an ETA to travel by air to Canada and not a visa. Canadians and American-Canadians do not need an ETA to travel through Canadian airports but a visa. On the other hand, US citizens are exempted from the requirements of ETA. Instead, they will use their US passports to travel to Canada. Applying for a Canadian Visa is a simple and quick process. If you don’t experience any complications, it shouldn’t take you more than an hour for your application to be approved. However, it is advisable you apply ahead of time to avoid any inconvenience that may arise during your application. You voted 5, 3 months ago.